The AGS Annual Meeting is the premier educational event in geriatrics. Join us in Portland, OR for #AGS19 this May 2-4! Aquifer Geriatrics (available here), the AGS national online curriculum in geriatrics, is leveraging e-learning and geriatrics’ thought-leadership to advance much-needed training to care for older adults. 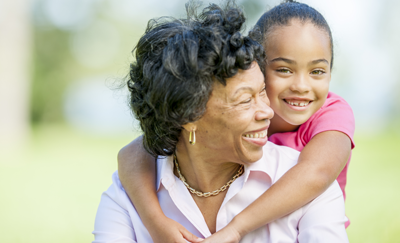 Powered by AGS members, HealthinAging.org offers reliable health info to older adults & caregivers globally (now with a new web design to match our expertise!). One of geriatrics' most frequently cited tools, the AGS Beers Criteria® informs clinicians which medications may be potentially inappropriate for older adults. GNRS6 is our concise, up-to-date, and comprehensive text for nursing professionals. Check out what's new in our latest edition, authored by 150+ interdisciplinary experts. All 67 chapters, updated research findings, and annotated references are now available on GeriatricsCareOnline.org. Find out why the Geriatrics Review Syllabus is the best resource for learning the latest in geriatric medicine! There's still time to register for #AGS19 (May 2-4, 2019, in Portland, OR). The NEW HealthinAging.org was created by the AGS to provide up-to-date information on health and aging. 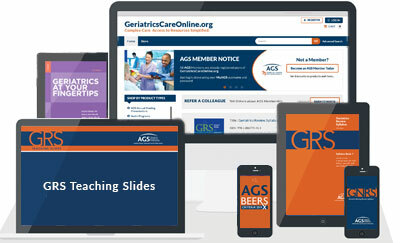 GeriatricsCareOnline.org is your one-stop online shop for all AGS publications, resources, and tools. Access to high-quality, trustworthy information for all healthcare professionals is just a click away. 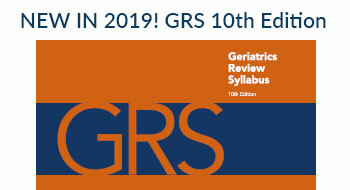 2019 brought the new 10th Edition of the Geriatrics Review Syllabus (GRS10) to GeriatricsCareOnline.org—complete with fresh content and features. 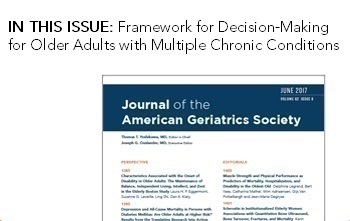 Available in print and digital formats or with access to both (and more) via the Complete Package, GRS10 is the most comprehensive reference for the latest in geriatrics—including 67 chapters and 360 self-assessment questions worth 100 AMA PRA Category 1 Credits and 100 ABIM MOC credits.